At a time when communication is being totally revolutionised, Uruguayan media is experiencing a crisis which seems to be getting worse the longer it lasts. On demand content is competing with television, radio is being challenged by podcasts and traditional media is faced with the endless flow of information provided on the social networks. 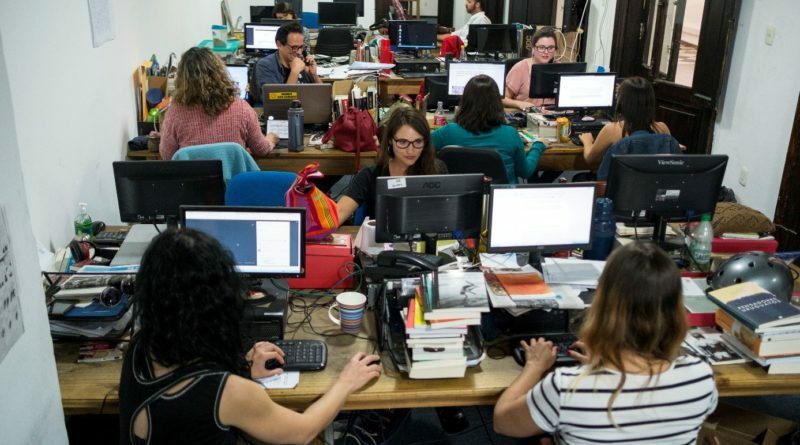 This is the context in Uruguay in which two media cooperatives are battling to survive. Although they have a similar background, they have different readerships and discourse. The “La Diaria” and “Brecha” publications co-exist in an increasingly hostile environment. “La Diaria” (The Daily) is published from Monday to Friday and is based on a subscription system which is unique in our country. It has managed to avoid one of the main weaknesses of the media in Uruguay, namely that of being available for purchase solely at news kiosks. This daily newspaper has made a lot of progress and has become the country’s second most important daily publication. Its content, which is both creative and critical, has managed to capture a young readership which is tired of the discourse expressed by the traditional media. Rather than following or conforming to the establishment’s opinion, its editorial line draws attention to subjects which it considers to be its own, including the fundamental issue of citizens’ rights and duties. “Brecha” (The Breach) is a weekly publication which has more than 30 years’ experience and the finest writers (Eduardo Galeano, Mario Benedetti, Hugo Alfaro, Idea Vilariño, amongst others) in our country. It defines itself as an independent and left-wing publication. Its content is intentionally critical, or even caustic, whilst its strength lies in its political and analytical vision of Latin American issues. Its articles, which are recognised for their quality, make Brecha essential reading for intellectuals, academics and decision-makers. The two publications were forced to develop their activities last year. La Diaria added a weekend edition to its traditional publications, whilst Brecha had to improve certain aspects of its website and introduced a supplement which covers domestic news (a magazine called Ajena). Both publications are required to constantly evolve. The figures presented in December regarding the number of people who read Uruguayan newspapers show that the sale of printed publications had fallen by almost 15% since the World Cup (July 2018). This has hit the sector very hard, to the extent that the traditional press, which is supported by companies or by political parties, has had to change its working methods and begin to restrict access to its digital content. This is the context in which Uruguayan media cooperatives currently find themselves. Their vitality and ability to survive is being closely observed from all sides in this uncertain period when everyone is waiting, or hoping, for readers to change their habits or the introduction of public policies which will allow information to continue to be plural and accessible to all.